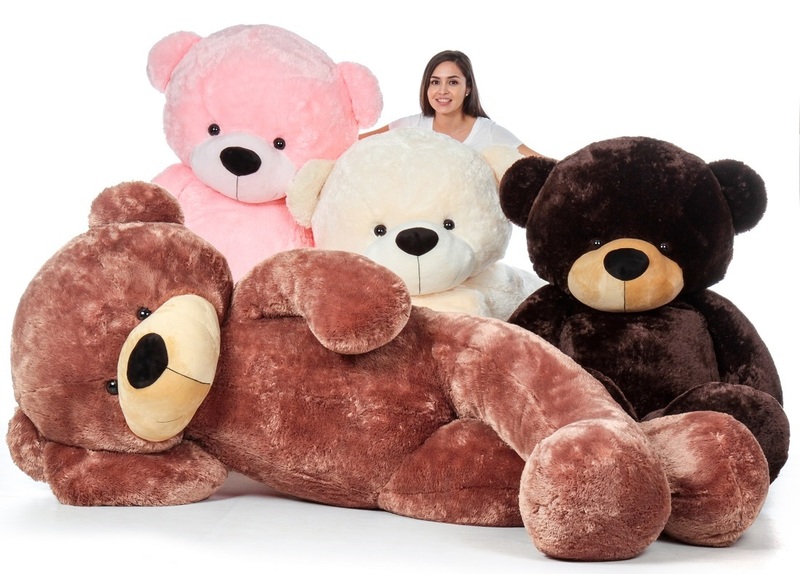 7 Foot Life Size Pink Giant Teddy Bear Cuddles - The BIGGEST Teddy Bear! Ever heard of Go Big Or Go Home? Well we went BIG and made our tremendous 7ft Life Size teddy bear perfect for an over the top gift idea for your loved ones! Be the envy of the party with such a unique and cuddly gift! Our Cozy Cream Cuddles is an extremely soft and huggable life size plush bear with a heavenly plush coat, well-proportioned life size teddy bear is stuffed with love in the USA and measures 84" in height.